Safety is one of the essential features when shipping products. This especially counts when shipping refrigerated transport. This doesn’t just include food, but also includes medical supplies, sensitive artwork, and other materials that require preservation. Keeping these materials in a tight container with cold air is essential. But what about longevity in case of shipping delays? Will the materials sustain if they’re traveling internationally? What if the power goes out in the unit, and no one is there to notice? You don’t want perishable items to spoil in the shipping process. Here are the do’s and don’ts when shipping refrigerated goods. 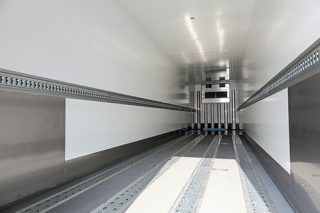 There are several factors to consider with refrigerated transport. Storage conditions and the longevity of the travel are two main topics. Luckily, there are service providers that are experts in the transport of perishable goods. It’s easy to take technology for granted. Not long ago, you were only able to transport food for 50 miles before it spoiled. Mechanical refrigerated transport wasn’t even devised until the 1940s. Now, trucks are traveling across the nation to deliver refrigerated products. In fact, 90% of the food you eat was delivered by a truck. Technology is more powerful than ever before. You can see specialized trucks delivering food to grocery stores across the country, and even medical supplies being delivered to hospitals. Because of the increase in technology, refrigerated transport can easily be done across long distances. Yet, this also requires the products arrive in a timely manner. There are carriers who specifically work on a national level, and are trained to handle perishable items with care while delivering them quickly. Airlines work the same way; even though they don’t have the exact qualifications as truck freight, they still have access to specialized refrigeration and other technology. When shipping perishable items, it’s always best to go for a professional service. Whether it’s for personal or professional reasons, you may need goods shipped internationally. This is best done with air freight for convenience and satisfaction. When these items are stored, they’re tightly contained and set at a constant temperature. There are different temperature options, depending if the products need to just be chilled or completely frozen. Depending on the product, it’s usually recommended to use ocean cargo to be sure your products are in good condition when they reach overseas. This also makes it easier to expedite the shipping and avoid issues with customs. While many services are available, people still prefer shipping items on their own. However, many fall short when following safety standards and even meeting travel laws. It’s common for people to ship perishables over long distances, yet incorrectly store them. When you do, they go bad. For example, traveling with food is common, especially milk-based products. You can find delicious cheeses in places such as Wisconsin, Amsterdam, and Switzerland. For travelers, it’s easy to buy this cheese in bulk. However, cheese is easily perishable. If you pack cheese in your bag with the rest of your luggage, it can easily spoil. Research the best method to travel with products such as cheese before boarding the plane or train. Fortunately, professional services are educated on best shipping practices and can guide you on how to keep your goods fresh. If you’re an art collector, chances are you know how to ship fine pieces of art. But for a newcomer to the art collecting scene, properly storing artwork may come as a surprise. Many factors can contribute to the ruination of the rare piece of art you acquired. Rain can damage the piece, or it can be squished underneath other packages. In either case, it can sustain wear and tear that results in permanent damage. The best word of advice is to contact the artist (if you can) and see how they recommend you store and ship the piece of art. If you can’t contact the artist and receive advice for that individual piece, remember the best practice is to wrap the painting in plastic and store it in a Styrofoam box. In regard to refrigeration, make sure the painting isn’t exposed to fluctuating temperatures. Keep the painting in cool temperatures and away from sunlight. This helps to preserve the color. One of the biggest mistakes people make is failing to research customs laws regarding shipment of perishable goods. Countries such as the United States have strict standards regarding what can enter and exit the country. If you’re shipping the bulk amount of perishable products on an international level, it’s best to hire the professionals. If you attempt to transport a mass amount of perishables yourself, you’ll be subject to be searched and questioned by customs agents. If you’re only shipping a few perishable products internationally, you can transport these yourself. However, always research customs laws. Examples of perishables with strict standards include medications, chemicals, and certain plants. You may be able to operate a truck with no issue. Operating a truck with refrigeration is another story. There is a specific temperature for the component that holds the perishables. It can’t be fluctuating and has to be as close to standard as possible. If not, you risk the perishables going bad. As the need to transport goods is increasing, it’s easy to just rent a truck or use your own when carrying perishables long-distance. However, this requires more responsibility. You need to keep tabs of the thermostat and make sure the truck is clean to prevent the spread of bacteria. If you break down, you risk perishables going bad. When you need to transport perishables, it’s always best to hire a professional. If you feel you can transport perishable goods yourself, always remember to conduct research and seek advice from experts. Refrigerating goods when traveling is difficult, so always be cautious when you’re shipping perishables. If you need professional courier services for your perishables, contact us to make sure all items are safe and the quality lasts throughout shipment.